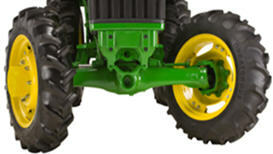 on new John Deere 5E Series Utility Tractors (45-75 hp). 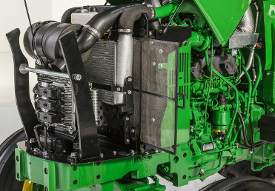 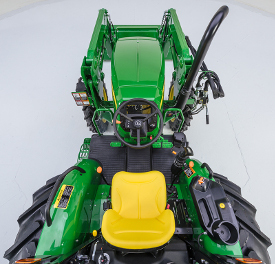 The 3-cylinder 5E (5045E, 5055E, 5065E and 5075E) Cab and Open Station Tractors have a single rear SCV in base with dual rear SCVs available as a field-installed kit only. 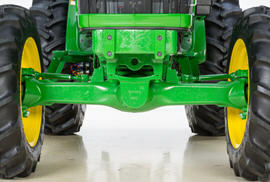 NOTE: These tractors are not configured for triple-rear SCV conversion. 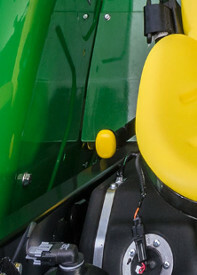 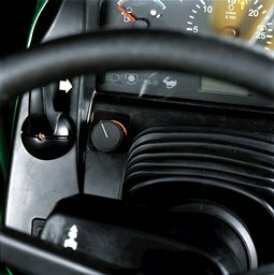 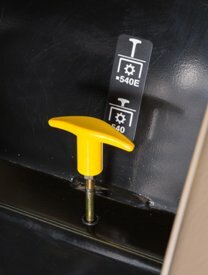 All rear SCVs are lever controlled, and couplers are equipped with dust plug covers to prevent dirt and debris from entering the hydraulic system. 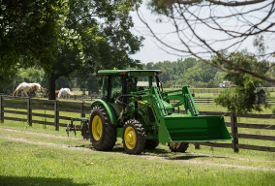 This ensures the most reliable performance, allowing operators to get work done. 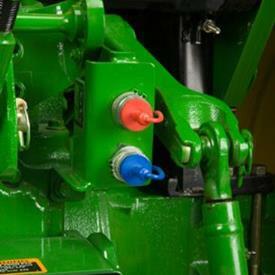 Operators can couple and uncouple under pressure with the International Standards Organization (ISO) push-pull couplers, which reduce the muscle required to switch implements. 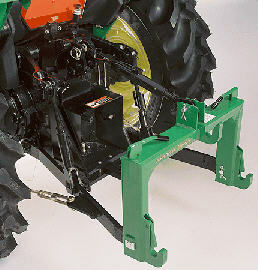 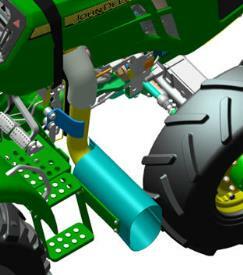 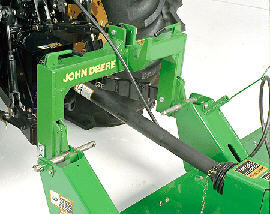 This allows the operator to effortlessly couple and uncouple hydraulic hoses from one implement to another. 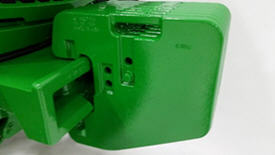 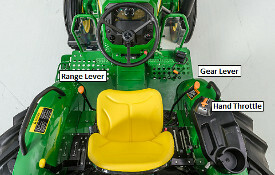 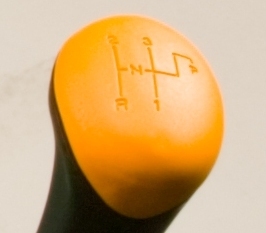 The rear SCV valves are a stackable design and controlled by levers at the operator's right hand. 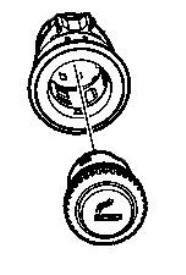 The single SCV kit features a detented float position, while the dual rear kit's first valve features a detented float position and the second valve has a regenerative position. 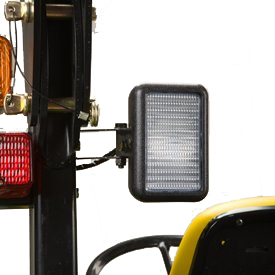 The beacon light kit is for the operator who is required to meet certain requirements for government and commercial applications. 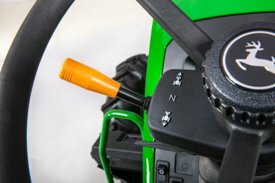 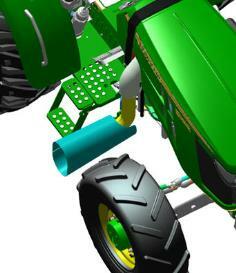 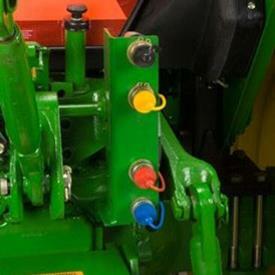 The beacon light is not compatible with open operator station (OOS) tractors. 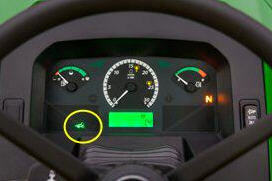 The kit consists of a rotating, high-intensity light that rests inside an amber-colored safety lens. 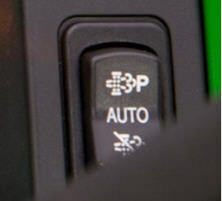 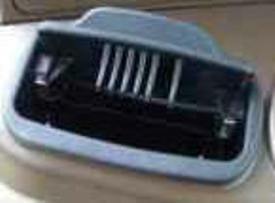 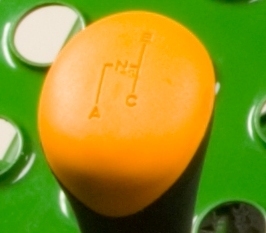 A cab interior roof-mounted rocker switch controls turning on and off the light. 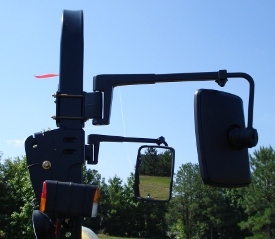 For those who require an alarm in reverse speeds to satisfy safety regulations and governmental bid requirements, this alarm is rear mounted and designed to provide optimum clearance from the 3-point hitch.